Wow, I love it! 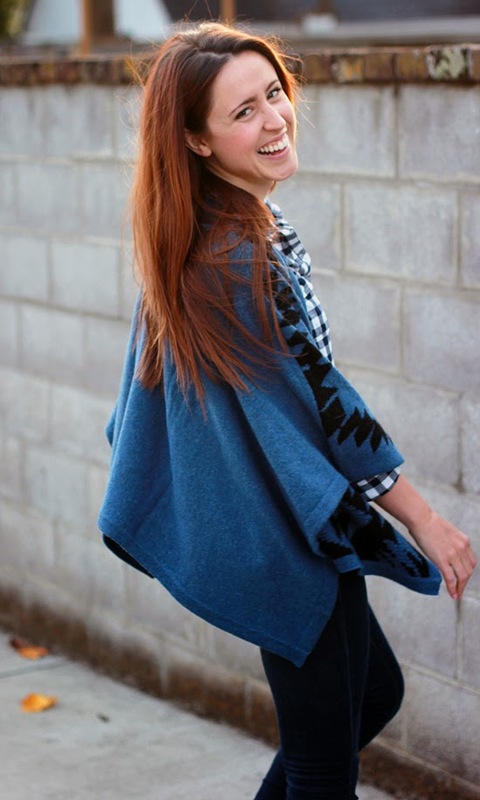 I don't consider myself a poncho kind of girl, but I really love how you styled this. I always think ponchos look so comfortable. Like wearing comfy loungewear at work! 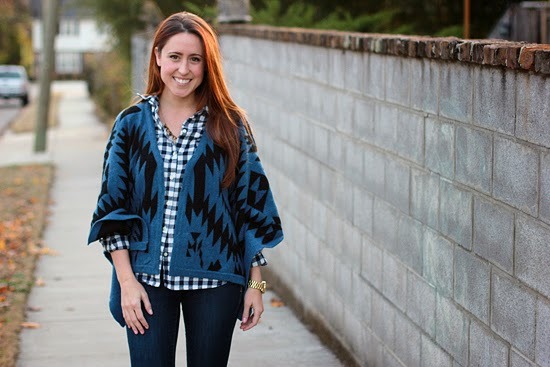 i don't own a poncho, but you are making me want to! i love yours with the loafers - they balance each other out so well! You look adorable! I love the gingham shirt underneath Jessica. You are the most precious! I need to take the poncho plunge! This is such a cute look. 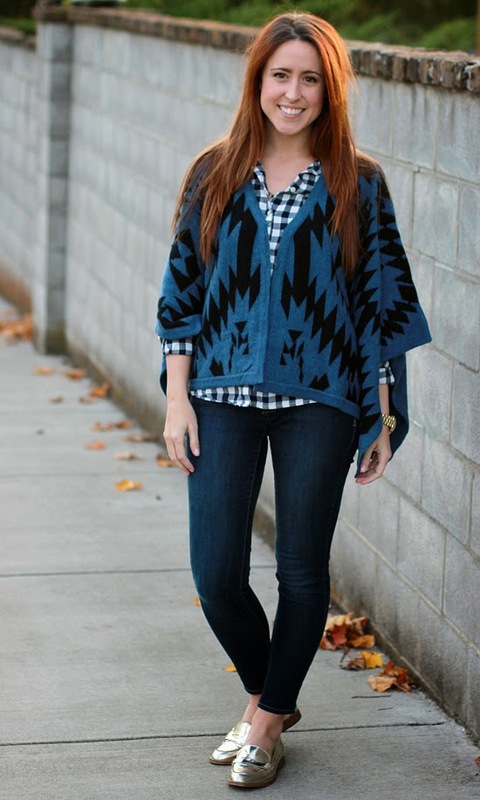 LOVE the poncho & flats! Haha I love your made up rules! That poncho looks so comfy and warm!! Ohh I remember when ponchos were super in when I was in high school and I loved them. I have been awaiting their return. Love the pattern on this one! So cute! Also, love those loafers! Haha...I love #1! And I really love those metallic loafers! You are freaking adorable. 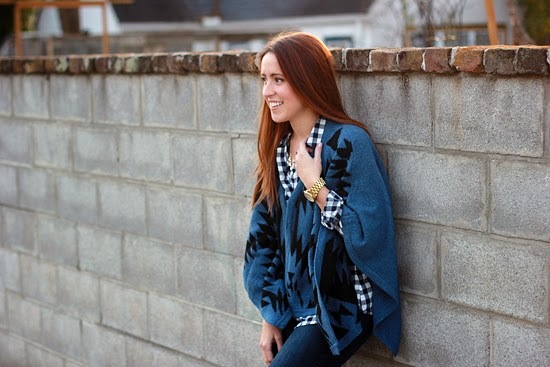 This poncho is fab, love the way you styled it! This is so cute! Gap has a really cute poncho right now, but I'm afraid it might look more like a sack on me because of my chest. You're making me want to try it out though! I love the colors of this one. 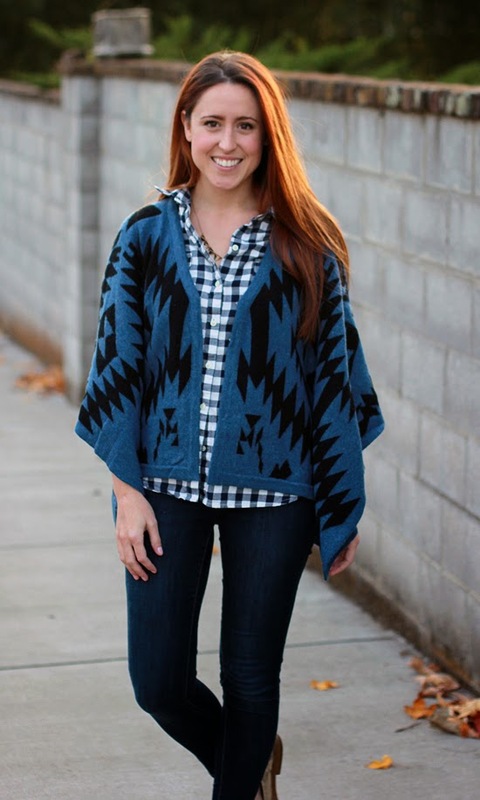 Ha, love this….I'm totally into ponchos lately!!! I love this! Now I NEED a poncho!